Zeeshan Aleem:”It appears that President Trump just blocked his own administration’s plan to sanction Russia. 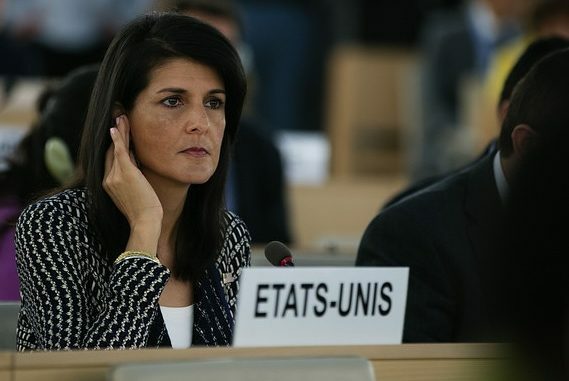 Nikki Haley, the US ambassador to the United Nations, announced Sunday that the Trump administration would hit Russia with new sanctions on Monday over its support for Syrian President Bashar al-Assad’s chemical weapons program in the wake of the April 7 chemical attack in Douma, Syria, that killed dozens of people. The sanctions were explicitly focused on Russian companies that deal in equipment linked to Assad’s chemical weapons program.